As much as I enjoy participating in the Daring Bakers, I do run into the same problem fairly frequently – I make some component for the challenge dessert and end up with much too much of whatever it is. This time, it was grapefruit marmalade. I thought this cake would make a pretty, rustic-ish loaf. I was right. 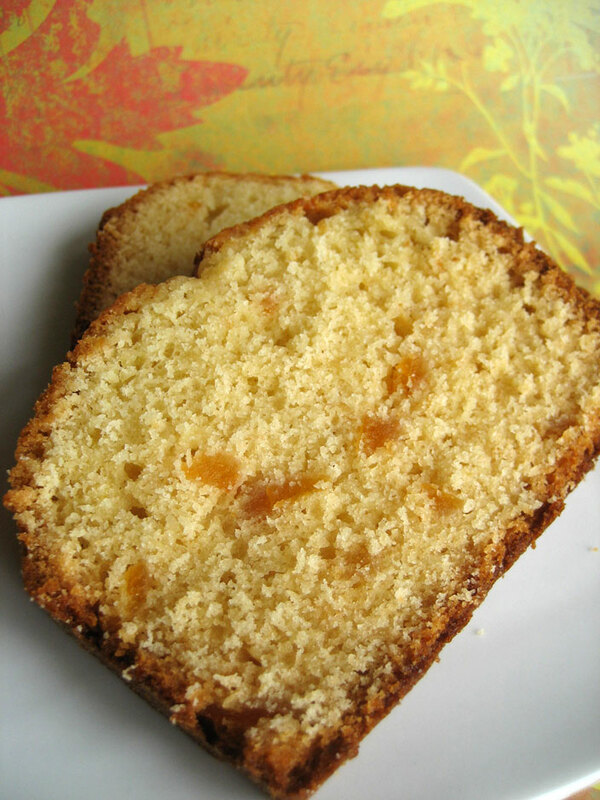 Luckily, I only had to wonder what I was going to do with all that marmalade for just a couple of days, because the very fabulous Alejandra posted a perfect solution – marmalade cake! 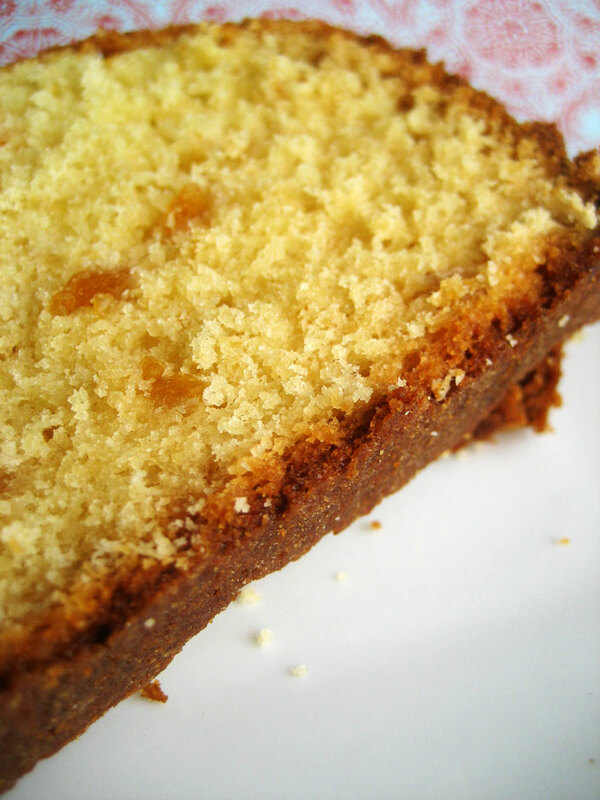 I love the crumb in this cake, so crumbly yet moist. I didn’t really need to tweak the recipe at all to suit my needs. In fact the only thing I did, beyond using grapefruit marmalade (and changing the shape from cupcake to loaf), was omit the almond extract and add some ground ginger, which I really like with grapefruit. 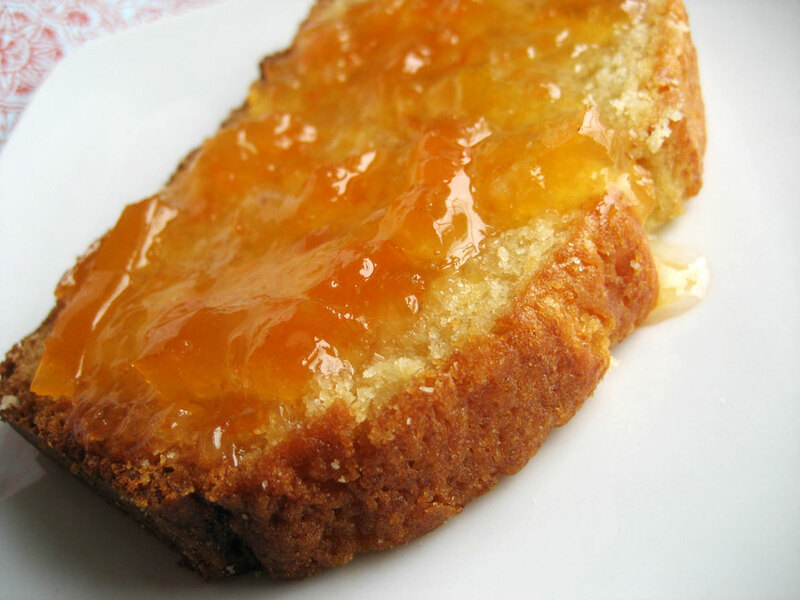 How to take a marmalade cake over the top? Spread it with MORE MARMALADE!! This cake turned out lovely and moist, and I really loved the little bits of chewy candied grapefruit peel all throughout. It was great with tea or on its own and tasted like sliced sunshine. Bits o' marmalade all up in it. Preheat the oven to 350F. Grease and flour a loaf pan. Cream together the butter and sugar until light and fluffy, then add the eggs one at time, fully incorporating each one and scraping down the bowl in between additions. Beat in the marmalade and vanilla. Combine all the dry ingredients in a bowl and whisk to combine, then add it to the batter and mix until incorporated. Pour into the prepared pan and bake for 45-60 minutes, until a toothpick inserted in the middle comes out clean. Cool slightly in the pan, then turn out on a rack to finish cooling. Though this did make a reasonable dent in my marmalade supply, I fear I may have to make more. 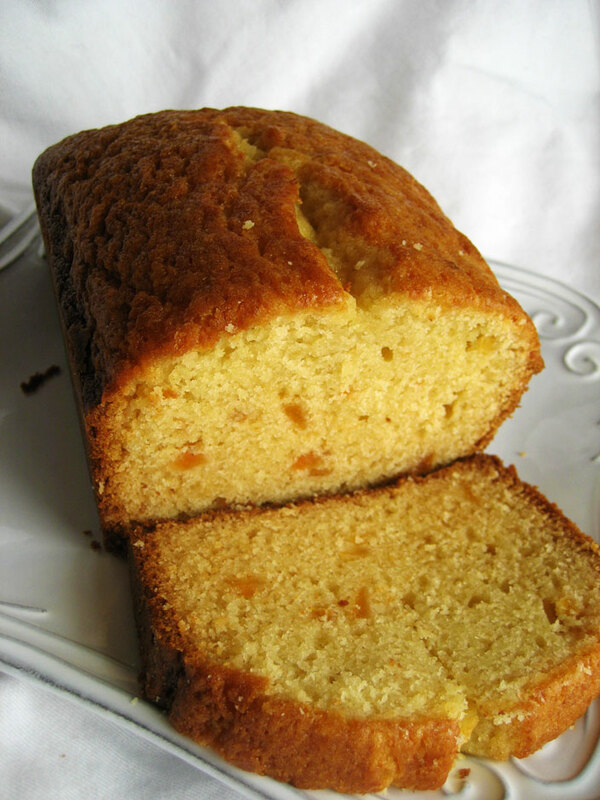 There is still a LOT of marmalade, and this cake was so easy and simply tasty that I’d eagerly make it again. Grapefruit is my fav! Looks delish! For sure is gonna be on my “can’t wait to make list” Happy Baking!! This sounds so delicious, I’ve been on something of a grapefruit kick lately. Never tried it as a marmalade before, let alone in a cake! Must definitely try it. What a fantastic idea! I still haven’t done much with mine yet, except have a bit of it on toast. if i dared to say i had too much leftovers on my blog, i think some of my coworkers would come running down the hall to ask me why i didn’t bring them some! This is a great use for that marmalade! What a beautiful cake, I can’t get over how good it looks! Hehe, I gave the rest of the marmalade to my boyfriend’s parents.